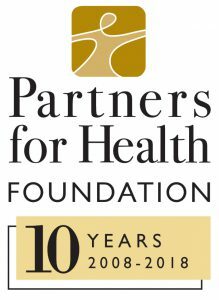 Partners for Health Foundation will celebrate our 10-Year Anniversary by recognizing people and organizations who are making extraordinary contributions to health and well-being in the 15 communities we serves. The Foundation is seeking nominations for Community Impact Awards that will select 10 awardees in 2018 and honor them by distributing up to $100,000 in total among their designated non-profit organizations. children to be more active. Since then, the Foundation has made 324 grants to 110 organizations, totaling more than $10 million. The Foundation works to make progress in key areas such as addressing hunger and homelessness, making healthy choices easier through policy, system and environmental changes, connecting older residents to services and activities, strengthening the mental health safety net, and increasing access to oral health. The Foundation welcomes nominations of individuals, organizations and institutions for the Community Impact Awards. Because the Foundation seeks to acknowledge contributions from all sectors of the community, nominees may come from non-profit and for-profit organizations as well as government and the media. Individual nominees may include, but are not limited to employees, trustees, volunteers, philanthropists, fundraisers, community advocates or activists, youth volunteers or journalists. Institutional nominees may include municipalities or municipal initiatives, small or large businesses, faith-based organizations, educational organizations or the media. Self-nominations will be accepted. Partners for Health will select 10 Community Impact Award recipients in 2018 and will honor them by distributing up to $100,000 in total among the non-profit organizations they designate that meet the Foundation’s grant-making criteria. Nominations must be submitted by January 31, 2018. For award criteria details and nomination forms, go to www.partnersfdn.org/AWARDS. Not-for-profit organizations located in, or providing direct service to the following communities are eligible for grants from the Partners for Health Foundation: Bloomfield, Caldwell, Cedar Grove, Clifton, Essex Fells, Fairfield, Glen Ridge, Little Falls, Montclair, North Caldwell, Nutley, Roseland, Verona, West Caldwell and West Orange.